It adds the 3 bit purple register to the 4 bit blue register. Result goes in blue register. Unlike my fast parallel adders, this is one ball at a time. The clever bit is that it uses as few balls as possible - normally 3 but it can finish early using only 1 or 2 for many inputs. Also, it is only 4 parts wide :). That’s three washers under the cog, raising it just enough to not interlock with gear bit above. 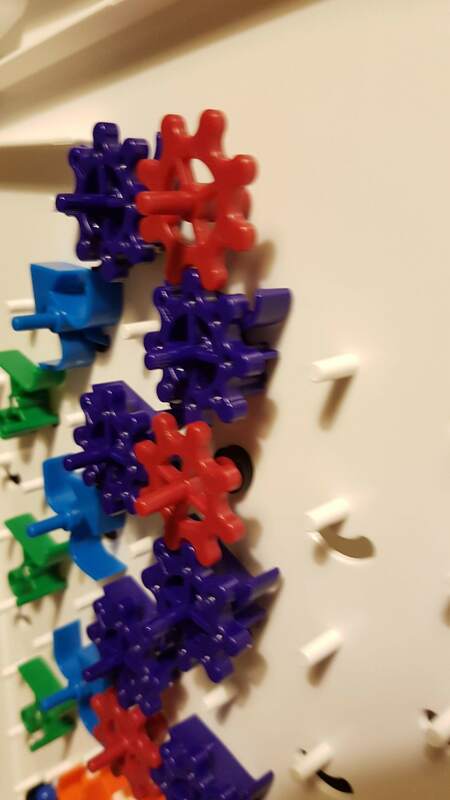 The connected gear bits are raised in the same way.